"Read the bestseller everyone is talking about " "A cleverly constructed suspense thriller." Chicago Tribune, Printer's Row "A twisty, roller coaster ride of a debut. Fans of "Gone Girl" will embrace this equally evocative tale." Lisa Gardner, #1 "New York Times" bestselling author "Riveting psychological thriller." Lisa Scottoline, "New York Times" bestselling author on "Don't You Cry" ""I've been following her for the past few days. I know where she buys her groceries, where she has her dry cleaning done, where she works. I don't know the color of her eyes or what they look like when she's scared. But I will."" One night, Mia Dennett enters a bar to meet her on-again, off-again boyfriend. But when he doesn't show, she unwisely leaves with an enigmatic stranger. At first Colin Thatcher seems like a safe one-night stand. But following Colin home will turn out to be the worst mistake of Mia's life. When Colin decides to hide Mia in a secluded cabin in rural Minnesota instead of delivering her to his employers, Mia's mother, Eve, and detective Gabe Hoffman will stop at nothing to find them. But no one could have predicted the emotional entanglements that eventually cause this family's world to shatter. An addictively suspenseful and tautly written thriller, "The Good Girl" is a propulsive debut that reveals how even in the perfect family, nothing is as it seems.More Praise "Kubica's powerful debut will encourage comparisons to Gone Girl." Publishers Weekly, starred review "A high-intensity thriller, a psychological puzzle that will keep readers on their toes." 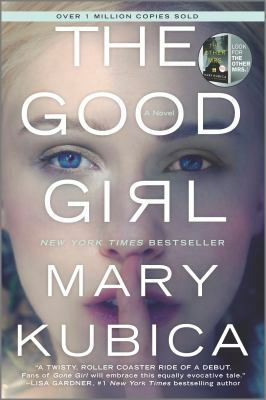 BookPage Read the "New York Times" bestselling follow-up novel "Pretty Baby" by Mary Kubica. Look for Mary's latest complex and addictive tale of deceit and obsession, "Don't You Cry." Order your copies today "